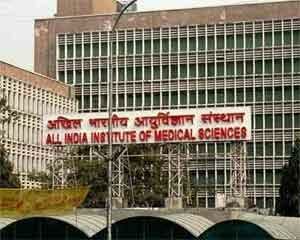 New Delhi: An AIIMS doctor has penned an open letter in response to Union minister Ashwini Choubey’s reported instruction to turn away people with minor ailments from Bihar who were “crowding” the hospital, saying it would be “morally incorrect” and “illegal”. The overcrowding at the premier institute in the national capital is a problem created by poor healthcare infrastructure in the country, said Dr Shah Alam Khan, a professor at the AIIMS Orthopaedics department here. Choubey, recently appointed as the Union Minister of State for Health, was quoted as having instructed the AIIMS director to send patients from Bihar with minor ailments back to Patna for treatment, for which he drew criticism. Khan admitted that at times there is a “loss of gatekeeping” in referral practices, “but then that is not a fault of the patient and they should not be punished for this.” “As doctors, we cannot (and should not) refuse treatment to any patient based on their region, caste, creed, religion, gender, social status and nationality. It is not only morally incorrect but actually illegal to do this. “So please do not advise doctors from AIIMS, or for that matter any doctor in the country serving under your government, to withdraw treatment to a section of patients,” he said in his letter. The minister was quoted saying, “People of Bihar are unnecessarily crowding AIIMS, Delhi even for minor ailments which can be treated at home,” at a function here last Sunday. Khan also talked about a 14-year-old bone cancer patient from Bihar, who had asked him if the doctor would treat him following the minister’s remarks.